Staring out from a friend’s balcony last winter, I got to thinking about the splendor of the evening sky even if its colours were dusky dark gray bleeding to even murkier depths. 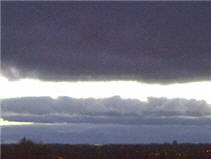 With its successive vertical layers, the encroaching night’s sky reminded me of artist Mark Rothko’s abstract paintings. In many of them, he layered both contrasting and complementary colours to form visually arresting effects. Like all painters, he created his own hues (variety of colours) on his pallet and required them in volume. I mention that because it increases one’s appreciation of his work and demonstrates a point yet to be made. Which is also how great ideas and concepts are arrived at: by overlaying them, one on top of another until the best idea is achieved or a more refined or dynamic version emerges. This requires it be shared with someone else, and preferably, many people. In contrast, an unexamined idea is seldom sufficient to achieve a desired end. Creators are too close to it and thinking within the vacuum of their own minds, it’s very easy to make assumptions. I write this from personal experience having been swept up in a personal vision, that of a Web Usability service back in 2007. 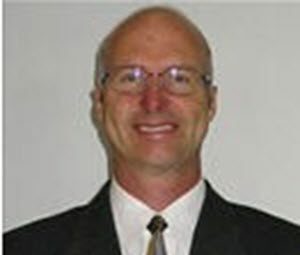 I’d been interested in that subject and had technical sales writing experience since the 90s, taken a class in it, read 4-5 books by Jakob Nielsen and Steve Krug, and applied what I learned in several of my client’s websites – with very successful results. They made a lot more $. ‘Figured that was it: good to go, ready to launch. However, recognition of the importance of Web Usability among the SMB (small-medium biz) market was low, i.e. scant. In fact, at that time, at least in Canada, websites were still only gaining credibility. Months later, I realized that, while the idea was good, my thinking was premature. ‘Best to wait. But that was only after I’d spent a lot of time-and money-during that time. What if, instead, I’d sought the opinions of others in the Web industry, offered the idea up for debate and had it subjected to “So what? / What if?” hard questions and crushing doubts? Or better still, set up an open debate or even organized a Meetup group of my own to formalize the critique-overlay process. How would it work? Each of us brings up an idea they’re working on and someone adds to it, expands it, critiques it, tweaks it, extends it or takes it in an another direction. Throughout, what is required is an absence or minimization of Ego and a “Let’s see where this goes” attitude. Regardless of whether those involved had a vested interest in the process, successive idea overlays make for a much stronger concept. There’s also the possibility of finding others to collaborate with. If you weren’t already familiar with Mark Rothko’s work, leaving you with the impression that he dealt primarily in darker shades wouldn’t be fair – or accurate; in fact, most of Rothko’s work was done in striking colours. Here’s a sample, but miniature editions don’t do him-or you-justice. 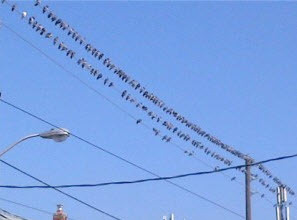 Looking up last week, above the streets, people and traffic, I saw something I’ve never seen before – and twice in 1 day: large groups of birds perched on telephone and hydro wires taking in the world below. Could it be they were exchanging ideas? This ‘beak meeting’ was of pigeons, which I’ve never seen in groups of more than 20 or 30; even then, they’ve always been in dining mode. That day saw roughly 200 of them out of my hearing range, but likely chatting among themselves. Had I not looked up, I wouldn’t have seen them. Later, that reminded me of how limited perspectives can impede problem solving. Most of us stare straight ahead (or down at our phones) and apply the same approach to problem solving or working out equations. We get used to figurin’ the way we always have, even if the solutions arrived at weren’t particularly effective: habitual thinking and humdrum ideas are both the process and the result. When I discuss problem solving techniques, I inevitably refer to the cube theorem; a children’s alphabet block provides a good visual. Its 6 sides are distinct yet some appear to be identical. But they’re not. The ‘M’ on an adjacent side is a different colour, for example, which parallels how similar conditions or lines of reasoning can be mistaken for their similarity. That leads to skewed and-or inaccurate conclusions. Figuratively speaking, hold up the cube (or problem) in front of you (or write it down) and rotate it. Consider its different sides, perspectives or aspects. How similar or different are they from your accepted rationale? Maybe they suggest that other factors or thought streams, not yet considered with any depth, may deserve more consideration. Asking different questions about ‘a’ topic yields different answers and often, breathtaking insights. Later down by the lakefront, I heard the cackle of birds and gazed upwards. 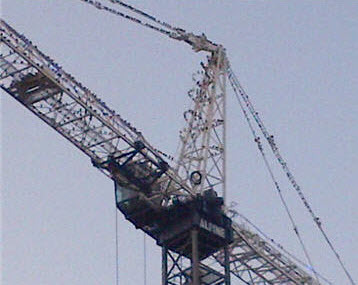 There, on a construction crane’s cable and trestles were perched hundreds, if not thousands, of them. My photo doesn’t capture the amount of activity flying about. Beyond the stationary ones, several birds hovered about, jockeying for position or hop scotching to different spots. Kind of … like a debate was being held or perhaps a negotiation of some sort. That got me thinking about the value of seeking feedback on one’s idea, concept or hypothesis (a proposition assumed as a premise in an argument or line of reasoning). It’s very easy to ‘fall in love’ with one’s idea and for others to do likewise, especially in groups or companies where it may be politically advantageous to do so. leads to an under-examined idea, concept or product-service. Whereas, inviting others’ critical-constructive feedback reveals oversights, updates thinking and polishes already stellar ideas; it also prevents well-meaning, experiential conclusions from previous-current applications unduly influencing one’s thinking. Routinely asking unasked, “hard” questions reveals logistical gaps, disconnects and/or contradictions. Prospective customers tend to ask questions from these same perspectives. Having ‘an’ answer, preferably a researched, analyzed and “proofed” one, promotes trust. The objective is cohesive content, a sound sales proposition or other argument, whether vocal in nature or in written form. Being proactive improves quality. Is this theme a future post or merely just another side of the alphabet block? Author Brian J AndersonPosted on September 3, 2016 September 5, 2016 Categories ThinkingTags Edward de Bono, Ideas, ThinkingLeave a comment on Thinking: What do Birds Have To With Ideas? According to Twitter, altering your Twitter profile text color can only be done within their platform. Initially, that was fine. However, when I had a graphic designed for me (see above), I wanted a text colour that matched it. Why? To minimize distraction: a Usability rule. From a branding perspective, however, it may be important that one’s Twitter profile text color agree with those in the company logo: looks better, more cohesive. None of the choices in the Twitter palette appealed to me, primarily due to poor readability. I found most of the colors abrasive. Interacting using a phone, where light conditions are variable, can make the hashtags and links fade out. Saturated retina-scarring tints like red, orange, mustard yellow and emerald green (top middle tile). I wondered to what degree could people read my tweets while their eyes dealt with the glare? Pale colours such as pink lemonade, the blue-green one, powder blue, and gray are going to get drowned out by surrounding light, forcing aggravating adjustments. The purple wasn’t suitable but its dark hue makes it legible, at least. The remaining blue one beside the gray tile is what I created for my Twitter profile using a colour customization tool called Color Picker. As you move the vertical slider up or down, the big square on the left also changes colour. Moving the little white circle around illustrates the range of colors within the vertical slider’s temporary setting. Where ever the little white circle ends up, color-wise, will be reflected in the top right corner square. Let’s say you find a color you like. Clicking the “Add to My Colors” rectangle transfers a chosen color to a horizontal palette beneath the working area. Each color you click in either the bottom right hand rectangle or the palette of your choices underneath the Color Picker produces a HEX (decimal) color code up top. (Now it’s time to access your Twitter profile page. In Twitter, click on your personal image or symbol (top right corner) and scroll down 1 level to View Profile. A line of stats appears. Click on ‘Edit Profile’ at the far right. (I added this graphic because it’s easy to overlook it). From the left side box, click on Theme Color and the palette opens up. Into the box on the bottom right, copy whatever HEX code you’ve chosen from Color Picker and paste into that box. Instantly you’ll see the change in the text directly above it. Save changes and examine your Twitter page as a whole. If the new text color is not to your liking, you may continue to experiment with Color Picker. 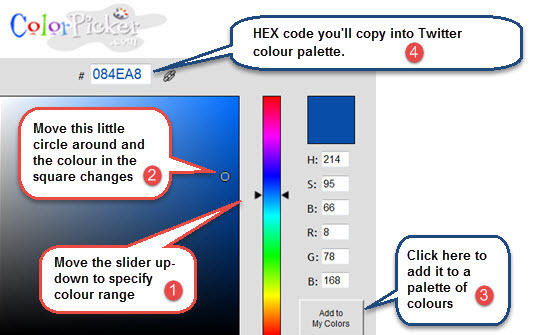 To save time, use several of the 10 available colour choice squares in the bottom palette. Result: A color-coordinated Twitter presentation that’s easy on the eyes and works with your branding. Most businesses spend the majority of their resources on customer acquisition, rather than serving existing clients. As a result, customers often feel left out or unappreciated, subsequent to a product installation or service on-boarding. Traditionally, Customer Service departments have had the responsibility for answering customer questions and resolving issues. They’ve also contributed by saving disgruntled customers from leaving. However, the widely held belief that unhappy customers will call Customer Service isn’t reflected by reality. What is at the root of this great upset? Compounding these intimidating numbers is the ongoing customer power shift fueled by social media opinion sharing. In view of the stats above, it isn’t surprising that news of bad customer service reaches twice as many ears as good. Short of a company-wide appraisal, what can be done right now to demonstrate care, concern and appreciation for customers? To communicate gratitude to customers and to bridge the information-attention gap, a 3-step process can be undertaken and begun immediately. Please note that this is an ongoing process. Does this seem daunting: too much? I understand that. It can be a little intimidating but proactive customer service is the new black. The customer power shift is only going to intensify. Customers ask us questions each day. Start keeping track of them. Write them down and solicit feedback from anyone who deals with them. Far too often, vital info is silo’d in people’s minds and activated only when prompted. If employees are in different offices, create a Wiki (a type of website that allows users to collaborate in content creation). They’re easily setup and simple to use. If you’re using Customer Relationship Management (CRM) software, review the files for any notes on questions. According to their industry or type of business, Solo-entrepreneurs can search for articles on questions, issues and problems. Then write out the answers. Organize the questions and answers into topics, categories and/or departments. As a starting point, you need to find out their social media status or level of participation. Type your customer’s company name into the search box and see what info presents itself. Make customers aware of the platform you’ll be using and monitor which ones pay attention. Emailing them to let them know about your blog. Sending out a notice that you’re starting a blog and provide an overview of the subject matter. Take the time to create a content strategy so your efforts are focused. Refer them to your favorite YouTube How-to video on whichever platform you’ve chosen or find a printed version online. While it likely isn’t possible to implement all that follows, it is hoped that some progress is made. Regarding the frequently asked questions from Step 1, you may present them in blog posts or email them, depending on customer preference. If some questions are more prevalent, integrate their answers into your website, sales and post-sale product-service content. As FAQs accumulate, organize them by subject or category in a web page. In time, search capability can be added. Establish a Facebook (business page 1st) private customer group and introduce your customer service personnel. Photos and bio sections do much to personalize the customer experience. Contests can be held for clients who volunteer an idea or discuss an application they’re using your product-service for. Winners get featured in your website each month or receive a Monday morning coffee delivery announced on Twitter. Toughest question of the month or a combination of activities. If customers are using Twitter, recognize them via an appreciative shout-out, calling attention to their fine services. That’s just good PR. Listened-to customers are also more likely to Like, link to, follow, share and connect with companies perceived as being helpful. Wouldn’t you? You’re someone’s customer. And good news can travel just as fast if it enhances the self-esteem and reputation of the person passing it on. Greater social proof, all Google, Bing and Yahoo ranking factors, results in your company being found more readily online. Everyone wins. In the previously quoted Amex Canada survey: 21% of Canadian respondents used social media to get a customer service response in 2013 and 55% felt Canadian companies improved their response times over social media channels. Can anyone share some ideas as to how they would use social media to improve customer service? 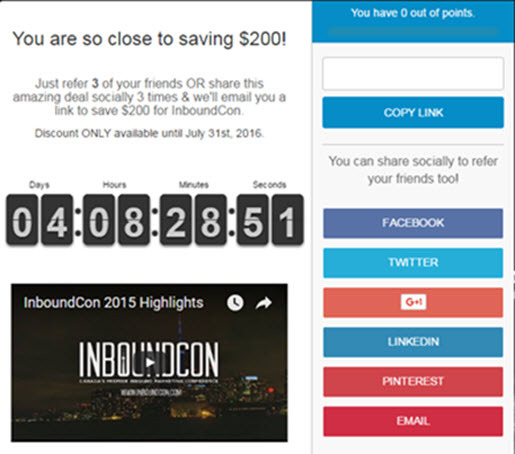 An analysis of the buzz and strategic aspects of Toronto’s Powered by Search’s Inboundcon landing page. This coming October 6, one of Toronto’s premiere inbound Web marketing firms, Powered by Search, is staging their annual Toronto-based InboundCon symposium. Apart from representing proper landing page composition (single, easily accessible offer, time limitation for urgency, no extra info etc. ), the landing page strategy has wider implications, benefits and marketing spin-offs for its creator. First, let’s understand that the $200 Early Bird discount (if tickets are purchased by July 31st) made in the Inboundcon website and the landing page are identical. No big deal: they’re just different channels. The difference is the type of outreach. The website is a 1-to-1 conversation to educate, promote and gain commitment; the landing page is a 1-to-many, multi-channel broadcast with a feedback loop, as those getting the word out must contact Powered by Search to obtain their $200 discount. Why might Powered by Search undertake such an experiment? The Shopify e-commerce platform is a vast and multi-faceted one. Its architecture addresses all aspects of a business conducted online and no detail is overlooked; however, there were Usability shortcomings which made my experience less than satisfying. With the intention of making a great product better, I’ve conducted a brief analysis of the tools, processes and screens which slowed my progress. This definition belongs to Usability guru Jakob Nielsen’s of the Nielsen Norman Group. For a more thorough explanation, you may refer to his firm’s website. Personally, I’ve been studying Usability since the mid-90s and was introduced to Neilson’s work in 1997. His books detail research findings over a span of many years. I’ve purchased 3 of them, then integrated my newfound knowledge into client websites – with impressive results: my customer’s sites were chosen over their competition because they were easier to use. Creating and writing my first Shopify e-commerce store was an intriguing and challenging exercise. 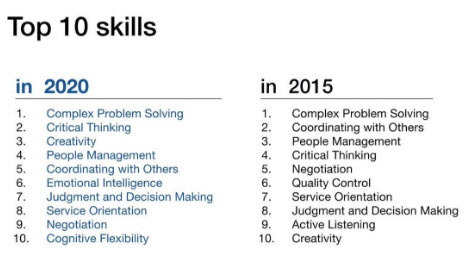 With new experiences come new lessons and preferably, advances in thinking. Mindfulness and perseverance are allies in such situations. This is a 2-part article. Next week, I’ll make suggestions (with screen shots and text re-writes) as to how the Shopify e-commerce platform, its Usability and overall presentation could be improved. The opportunity arose the way many do. I met a fellow at a social gathering and we got to talking. ‘Turns out his girlfriend was selling fashion jewellery and doing very well with it. She imported the necklaces, bracelets and earrings from overseas and they looked quite attractive – and great on her. The client had been a product manager and figured he could parlay her show-and-sell parties into online merchandising. We agreed on a price which included learning time, number of items, and a deadline 6 weeks distant: just before last Christmas, which seemed reasonable. Shopify, with their integrated e-commerce platform, was making waves in local Web circles and a relative was using them for her online store: “It’s so easy-to-use and it was only $30 a month.” In contrast, a website designer wanted $130 every 30 days, “forever.” Easy decision.